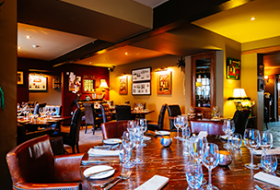 A relaxed, informal, cosy restaurant that offers award winning fine dining and great service, set within a traditional pub. 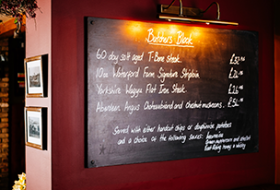 Ben and Lindsey welcome you to The Star Inn dining experience with Northern hospitality, great Yorkshire food and ales not forgetting many eclectic wines. The food here is honest modern British fayre influenced by many outstanding Yorkshire produce. 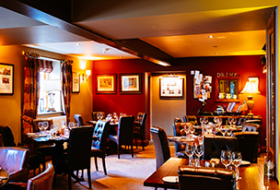 Catering quality food to all, from Tomahawk steak and crisp belly pork to Wold Top ale pies and Sunday lunches with award winning Yorkshire puddings, the team assure you a great visit where you will enjoy every moment and mouthful. 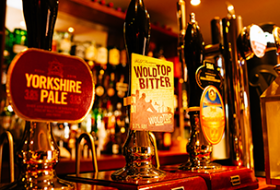 "Certainly if they keep pumping out the food of the quality and imagination we enjoyed they’ll continue being one of the best dining pubs in Yorkshire." To book a table in our Restaurant please call 01430 827269 or book online. 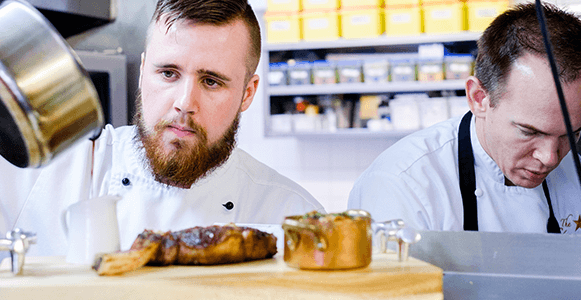 With many years of experience as a professional chef, Ben champions the best possible flavours from the Yorkshire region to produce delicious food, working with local artisan suppliers. As a regular on the cookery demonstration scene at local food festivals and events, also appearances on Country File and the One Show showcasing his award winning Yorkshire pudding recipe that gave him the great Yorkshire pudding champion two years running. Ben's team of chefs share the same passion as him challenging themselves daily to bring out the best. 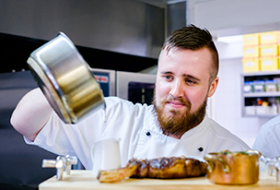 If any young budding chef wants to challenge their career don’t hesitate to get in touch.